Serving the people of Cork since 1961, Cork Airport – known as Aerfort Chorcaí in Irish – is one of the three principle airports in Ireland, as well as the second biggest airport in the country after Dublin Airport. An international airport, Cork is one of the main hubs on the island for flights to and from mainland Europe and the UK, with a range of standard and seasonal destinations available for travellers. The most populous city in the Munster region of Ireland, Cork is home to over 125,000 citizens, with the wider Cork region having over 300,000 residents. One of the most popular tourist destinations in Ireland, Cork is often referred to as ‘the Real Capital’ or Ireland due to the city being centre for anti-treaty forces during the Irish Civil War in the 1920s. The Cork of today is a vibrant progressive city, which is the European home of tech giants Apple amongst other companies. The airport has been a major transport hub of the city since opening in 1961, serving over 10,000 people in its first year of operation. Today, Cork Airport welcomes close to 10,000 passengers on average per day, with over 2.2 million visitors in 2016. The airport itself has won many awards in recent years, such as the ‘best Airport in Europe under 5 Million passengers’ 2017, as well being named number one for customer satisfaction in a global survey from Airports Council International in 2013. Cork Airport has a range of excellent transport links and bus services to Cork. 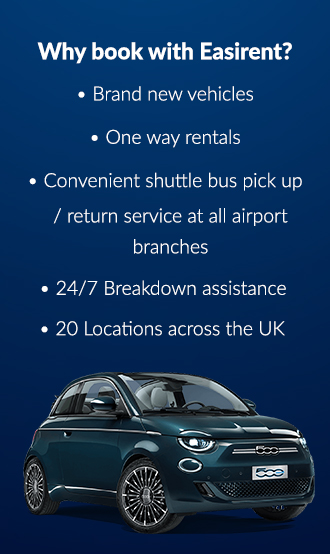 Why not hire a rental car and make the most of the Rebel City and its surroundings? The Easirent Cork Airport hire car office has a superb range of new vehicles waiting for collection. The airport itself is the southernmost major airport in Ireland and is a 20-minute drive from Cork City. 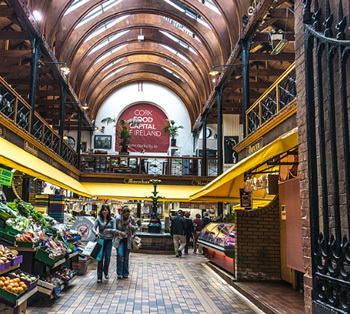 Furthermore, Cork City is a 35-minute drive from the South coast and an almost two hour drive from Limerick for those wanting to spend time exploring the Emerald Isle. Who knows what adventures await? Being a relatively small airport, consisting of two runways and one terminal building. Despite this, the airport offers a host of regular and chartered flights, as well as a host of seasonal flights from various operators. The biggest operator in Cork Airport is Aer Lingus, who regularly operate flights to and from Amsterdam, Gran Canaria, Lanzarote, London–Heathrow, Málaga and Paris–Charles de Gaulle airport, as well as flights under its Aer Lingus Regional umbrella to and from British destinations such as Birmingham, Bristol, Edinburgh, Glasgow, Manchester, Newcastle upon Tyne and Southampton. Aer Lingus also offer seasonal flights to Alicante, Barcelona, Düsseldorf, Faro, Munich, Palma de Mallorca, Tnerife South, and charter flights to and from Salzburg. Irish airline Ryanair also have a strong presence at Cork Airport, with flights to and from Gdańsk, Gran Canaria, Lanzarote, Liverpool, London–Gatwick, London–Stansted, Málaga, Tenerife–South and Wrocław, with seasonal flights to and from Alicante, Bergamo, Bordeaux, Carcassonne, Faro, Girona, Palma de Mallorca and Reus. There are flights from other budget airlines such as Flybe (flying to Cardiff) and flights to Providence, Rhode Island USA through Norwegian Air Shuttle/Norwegian Air International, the only flights to and from the United States available from Cork. The airport’s seasonal schedule is far more expansive and impressive, with operators such as AlbaStar, ASL Airlines Irelands, Iberia Express, Swiss International Air Lines/Swiss Global Air Lines and Volotea. These airlines offer a range of flights to and from major European destinations such as Barcelona, Zurich and Madrid amongst others. Cork Airport is proudly home to ‘the Loop’ shopping experience, giving travellers a choice of all manner of gifts and goods for friends, family, or even just for themselves. Billed as ‘a world of tempting eateries and exciting brands,’ The Loop offers savings on a wide range of products. The Loop also offers a shop and collect service to those travelling within the European Union, allowing travellers to collect their purchases upon their arrival back into Cork Airport. 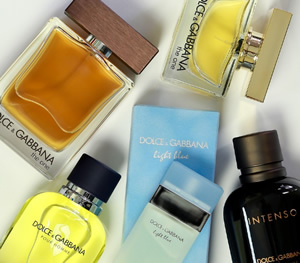 Fans of perfume, aftershave and skincare can pick-up a number of items from international brands such as Bvlgari, Tom Ford and Bobbi Brown and many many more. You can buy online and pick-up at the Loop before departure or after arrival back at Cork Airport, but half the fun of duty free is exploration and finding that one item you have had your eye on for a fraction of the price. It isn’t all fancy sunglasses and luxurious fragrances though, as you can stock up on a range of alcoholic products, from crowd pleasers like Smirnoff and Jack Daniels, to Irish whiskies and institutions such as Guinness. You can save up to 20% compared to downtown prices, so if you have the space and the budget then stock up on what you need. Cork Airport is also home to two branches of WH Smiths, stocking all national papers as well as national and international magazines and books. Before security there is Kinsale Cafe, which is named after an idyllic seaside town in West Cork. Kinsale Cafe serves coffee, pastries, chocolate and a selection of savoury meals as well as savoury options such as sandwiches, soup and crisps. There is also Refuel, billed as ‘the complete sandwich bar’, Refuel offers fresh artisan rolls, subs, wraps and flatbreads with ingredients sourced from Irish farms alongside unique sauces rarely available elsewhere. After security there is Food Republic, Craft lane and AMT Coffee, serving all manner of locally sourced fresh food and in the case of AMT Coffee, Fair Trade coffee and organic milk. There are also opportunities around the airport to purchase alcoholic beverages, but make sure you don’t get too merry before boarding your flight. For those wanting an executive airport experience, then the jack Lynch Executive Lounge is for you. Payable at the lounge itself, use of the Jack Lynch Executive Lounge is €25 before 12pm and €20 afterwards. Inside the lounge you will find an air of peace and quiet, with complimentary refreshments (including alcohol at a maximum of three drinks per guest) newspapers and magazines and free internet access. There is also a small private meeting room for up to four people located within the lounge. No matter your needs, Cork Airport has a range of facilities to make sure every passenger has a stay that is as comfortable and stress-free as possible. 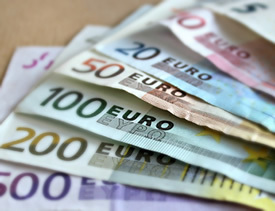 For last minute banking and currency exchange, there is a Bureau de Change and Bank adjacent to WH Smith on the ground floor/level 1 of Cork Airport. There are also three ATMs in the airport; two besides the Bank and Bureau de Change and one after the Loop by Gate 4. All three ATMs dispense Euros, while one of the two besides the Bureau de Change also dispenses Pounds Sterling. If possible, try to make a trip to airport two to three weeks before travelling (if departing from ORK Airport) in order to inform your preparations and if you intend to craft your own ASD support guide if needed. For travellers and passengers with reduced mobility (PRM) Cork Airport provides accessibility services, intended to help PRM passengers at every stage of the airport experience. In order to deliver the most effective service to passengers who require these services, persons with reduced mobility should contact and notify their airline, travel agent or tour operator with details of their assistance requirements at least 48 hours in advance of the departure of their flight. It is very important that PRM ensure that they contact their airline, travel agent or tour operator directly as their onward travel may be affected otherwise by the safety rules an air carrier applies to the carriage of persons with reduced mobility.